Every year the Pod Charity receives donations from volunteers as well as carrying out annual fundraising events such as participating in Vinestock (a local music festival) and the Cheltenham half marathon. The money raised from these events goes towards supporting our projects overseas. The Elephant Conservation project in Cambodia received a donation recently, here you can read about how they used the grant. 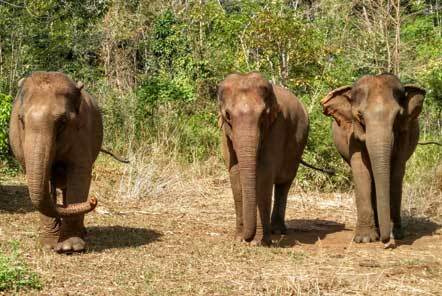 The Elephant Conservation project provides a sanctuary to 9 rescued Asian elephants that have been rescued from a variety of working backgrounds. 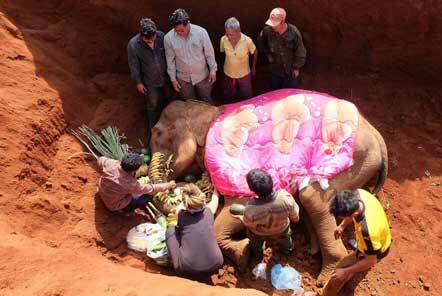 They are now retired from work and live in the forest being rehabilitated in order to experience a more natural life. Here they are provided with a great natural environment to roam and each elephant has regular health checks and veterinary treatment when required. The sanctuary works closely with the local community and the previous owners of the elephants (mahouts) as they recognise that without joint support, future positive change will not be possible. Therefore, the project also provides employment opportunities for the mahouts to look after the elephants in their new home, but without having to work the elephants to earn an income. The project works closely with the larger local Bunong community assisting them with health care, education, land protection and community development initiatives. Sadly Milot (one of the project’s beloved elephants) passed away and an important part of Bunong culture involves providing a traditional burial ceremony. 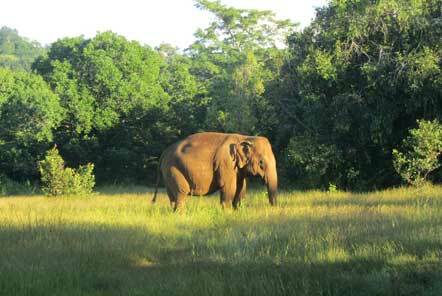 Ten years ago Milot was rescued from hauling logs in monsoon season and carrying tourists in dry season. She was a skeletal elephant with abscess and scars from the baskets and poor treatment and the team thought she’d be lucky to last a year. She thrived at the project over the years but her health deteriorated as her teeth wore flat and she couldn’t chew her food and after one final farm raiding mission in search of crops, she passed away. The project and community wanted to show their affection and bury her with all the respect and love she deserved. Overwhelmingly, all of the local staff and villagers came in waves to say goodbye. The local team wanted to start a new land-based project by which areas of land and forest could be demarked as “Community Spirit Forest”. This would give them rights over the land and protect them against encroachment, illegal logging and land-grabbing. The grant helped them to start this project which protects both the area and the communities which live within it. The project has an existing base camp education and welcome centre and some of their charity grant went towards the continued development of this. In order to safeguard the future of elephants in Asia, education is key. The more that people know about the plight of working elephants and how they can avoid feeding into the industry, by instead supporting projects which allow the elephants to roam freely in the forest, the better.